Legendary singer and songwriter Chaka Khan has launched a newly- formed indie label and merchandising company, iKhan Sounds. Fittingly, the first single to be released on the label is entitled, “I Love Myself,” an anthem that promotes self-esteem and putting one’s life in order. Written and produced by GRAMMY-nominated singer/songwriter, B. Slade, the song is set for release on June 16, 2017. The lyrics to “I Love Myself” give voice to the deeply personal and continuing journey of my life and the obstacles I continue to overcome both publicly and privately. Last year was a very painful period for Chaka following the deaths of longtime friends such as Prince, Natalie Cole, and Maurice White. Having come through all those things deepens the already universal message of “I Love Myself” for me in ways I couldn’t have imagined a year ago when the song was originally slated for release. Loving yourself is a life-long process and even more so in the face of loss. The establishment of the iKhan Sounds record label is the fulfillment of Chaka’s desire to have more control over her musical artistry in terms of what and when she records, expanding her listening audience, and getting her rightful share of sales profits from both music and merchandising. 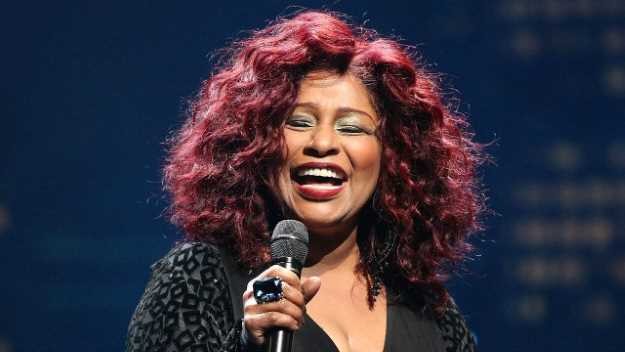 The singer has recently formed a partnership with Star Rags Apparel to create a line of merchandise that promises to be the most appealing collection for the Chaka Khan brand to date.